The We Company started as a platform for creators in providing members space, community, & services that enable them to do what they love & craft their lifes work. 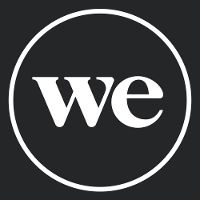 The We Company is striving to help people achieve their purpose & connect with others. WeWork, a business line of We Company, has grown to over 400,000 members in 26 countries & is continuing to grow exponentially. Our dedication to technological innovation has enabled us to grow to more than 400 workspace locations as well as support the other business lines including WeLive (living space), WeGrow (education), Rise by We (wellness) & Powered by We (enterprise). Every day, we see & feel the impact we can have on employees & members lives. Development reporting: squad velocity, code quality, component ownership querying are all available for teams & management to get visibility over their development practices. These tools support all types of software development at WeWork: Web applications, mobile applications, service-based software, data processing, embedded software. The tools are backed by automated setup, documentation, & educational resources, giving developers permissions & knowledge to do their job from day 1. Every squad doing software development at WeWork uses these tools, & technology leadership has visibility over all this work at the level of granularity they wish. As the Director of Engineering for the Development Infrastructure team, you will be working closely with Product to drive the vision & strategy for building out this platform. The We Company is an equal opportunity employer & values diversity in all its forms. We do not discriminate on the basis of race, religion, color, national origin, gender, sexual orientation, age, marital status, veteran status, or disability status.